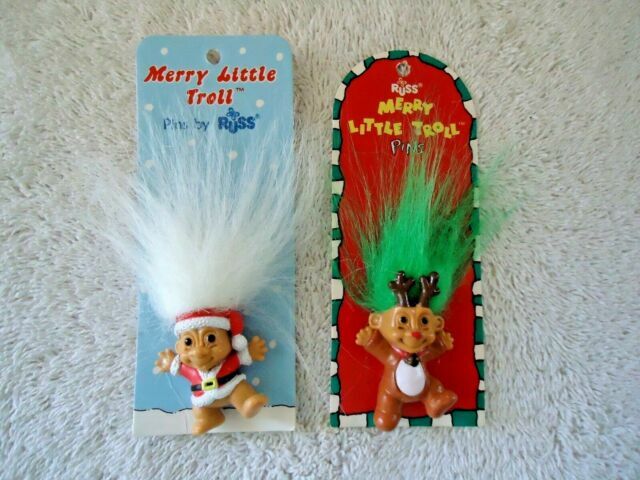 Russ Merry Little Trolls Christmas Santa Troll Pin White Hair - HOLIDAY Wear 3in. Condition is New. Shipped with USPS First Class Package.